FREE concert by Philharmonic ~ Philippine Freebies, Promos, Contests and MORE! Are your kids bored at home? 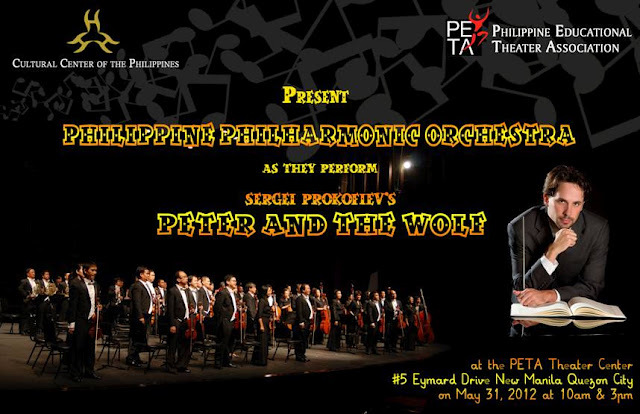 Get them out of the house on May 31, 2012 for a FREE concert by the Philippine Philharmonic Orchestra at the Philippine Educational Theater Association (PETA) Theater Center. There will be 2 show times, 10AM and 3PM. Reserve seats by contacting Meann Espinosa through meann.espinosa@gmail.com or 0906-211-5003 or 725-6244 local 15.